A fireplace can make the perfect centerpiece to any room or office and the right fireplace mantel can enhance the fireplace to make it look even more elegant or extravagant. No matter what room or office the fireplace is in, it is important to choose the right mantel to match the design theme of the rest of the room. This can be easy if you purchase your fireplace mantel from the right place. 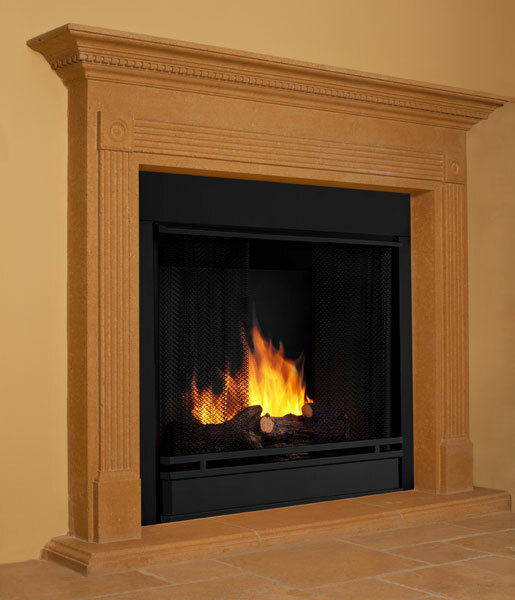 There are countless different types of fireplace mantel designs. They are made in every style imaginable including British Colonial, French country, art deco, contemporary, rustic, and more. Each of these designs can be made in a variety of different materials like marble and cast stone and each type of material can come in many different colors. Maybe the most popular styles that people choose are contemporary fireplace mantels. Contemporary, or modern fireplace mantels, are popular because of their clean, aesthetic lines. The sharp clean lines of this type of mantel have several different benefits. For one, contemporary fireplace mantels can be suitable for many different room designs. Because the features of the mantel are not over-the-top, they are not confined to as small of a category as some other types of mantels. Also, instead of the mantel design really standing out, a modern fireplace mantel really puts the focus on the materials used and the actual fireplace itself. If you are interested in purchasing a fireplace mantel for your home or office, consider visiting a showroom with many different styles of fireplace mantels to help you choose the perfect one for your needs.